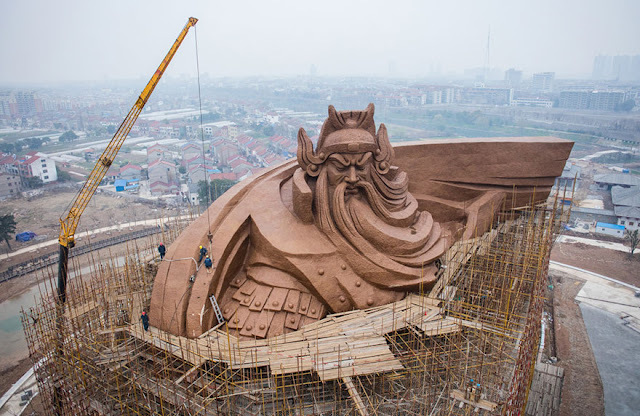 You’d expect a God of War statue to look pretty epic. 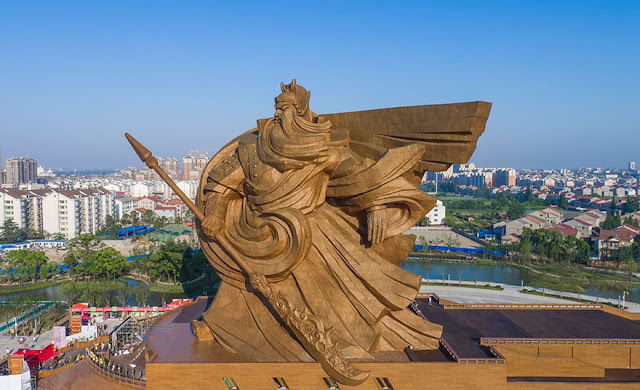 But there’s epic and then there’s EPIC, and this enormous statue of Guan Yu, a famous general in Chinese history who was later deified, is most definitely EPIC. 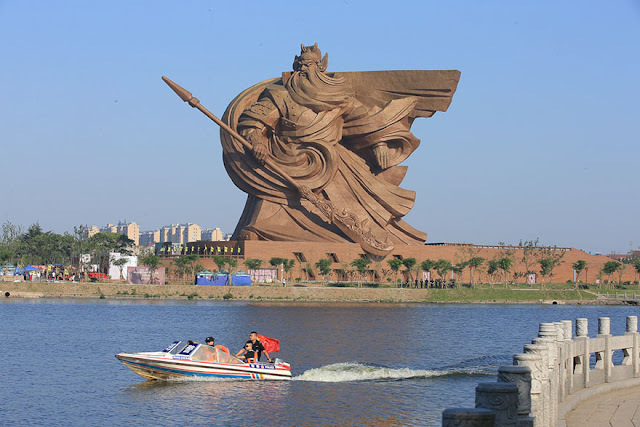 The statue has just been unveiled in Guan Yu Park in Jingzhou, China. 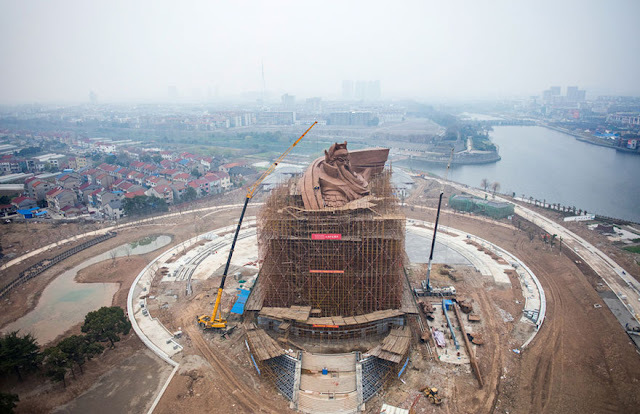 It’s 58 metres (190ft) tall and weighs over 1,320 tonnes, and it contains over 4,000 strips of bronze. 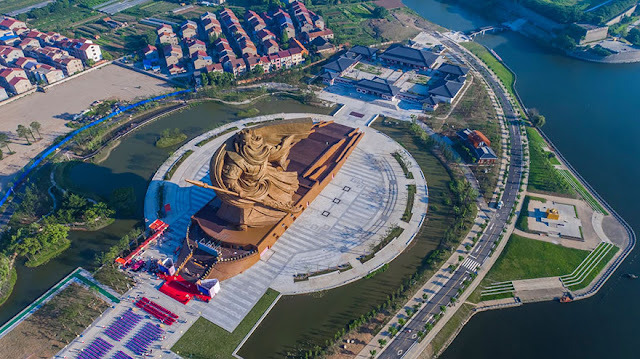 It was designed by Han Meilin, who is probably best known for his designs of the 2008 Beijing Olympics mascots, and the monument is so big that there’s even an 8,000sqm museum inside it! 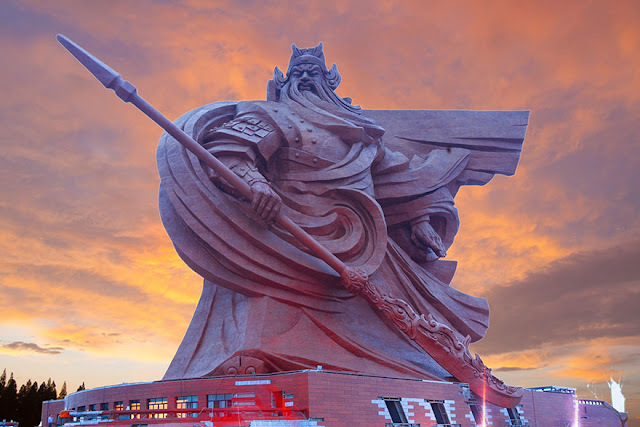 Guan Yu lived during China’s turbulent Three Kingdoms period. 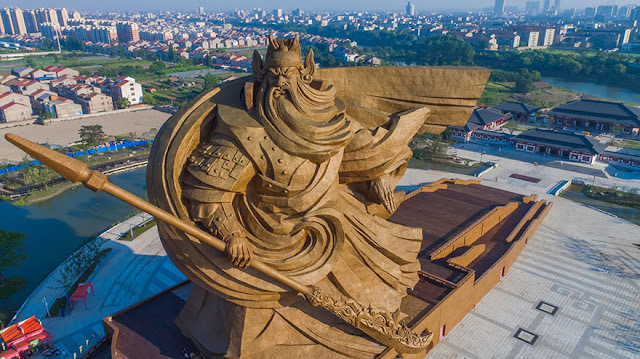 He carried an axe-like weapon called a Green Dragon Crescent Blade, which has been immortalised with him as part of the statue. The only difference is that the weapon now weighs 136 tonnes! Did we mention this statue was epic?